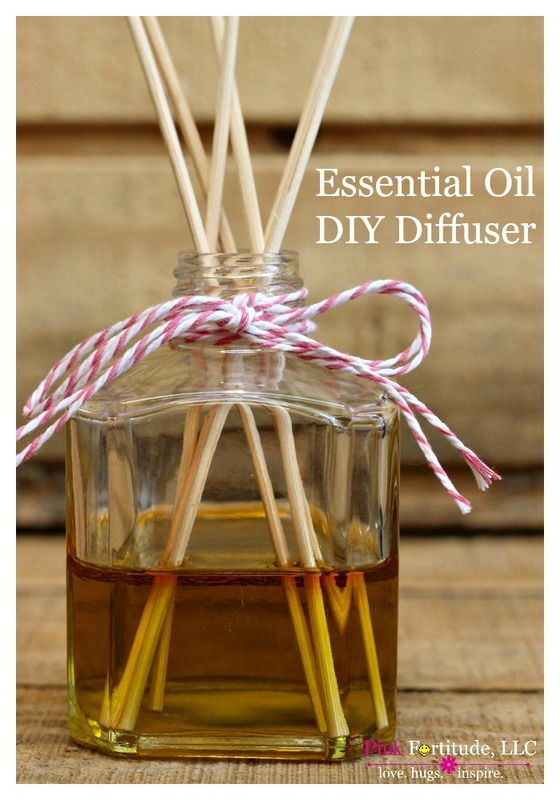 I’ve been wanting to make my own essential oil diffuser for a while, but each time I tried, it didn’t work. Until I figured out the secret ingredient. It’s much easier than you think! Not all oils are created equal. Did you know that? I think I tried every oil under the sun – olive oil, canola oil, safflower oil and corn oil. Nothing worked. It’s Avocado Oil! TA DA! I reused this glass diffuser container from one that I purchased at a school fundraiser. You can use any glass container or a specialized diffuser container. Just make sure that the opening at the top is small. 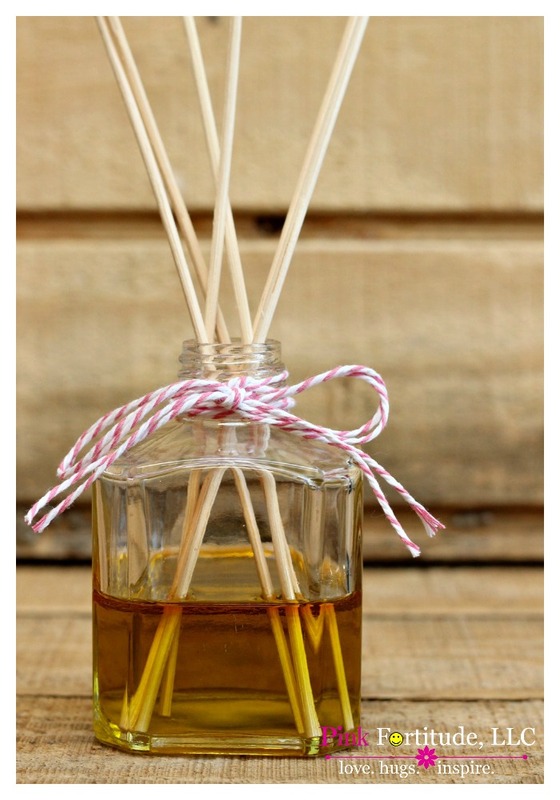 Grab some reed diffuser sticks and whatever Essential Oils you are in the mood for. I combined Lemongrass and Grapefruit for a yummy fresh spring aroma. I like to pour the carrier oil (avocado) in about halfway and then add some drops of your favorite essential oil/s. I used 25 drops of each. The fragrance will be strong the first couple days and then it will lessen. 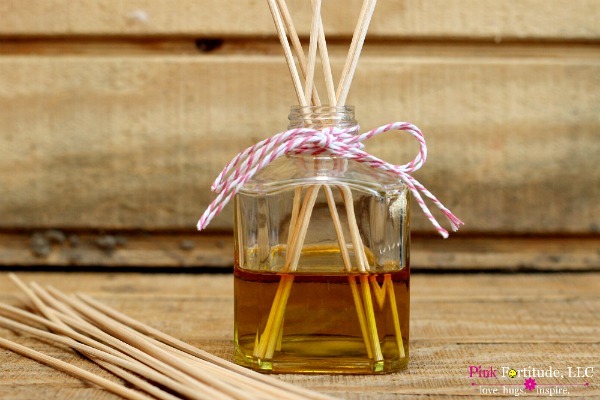 You can also flip the reeds when the aroma fades. I can’t even begin to tell you how long I’ve wanted to make this. And after realizing how easy it was… I’m now like… it took me this long RIGHT?!?!? 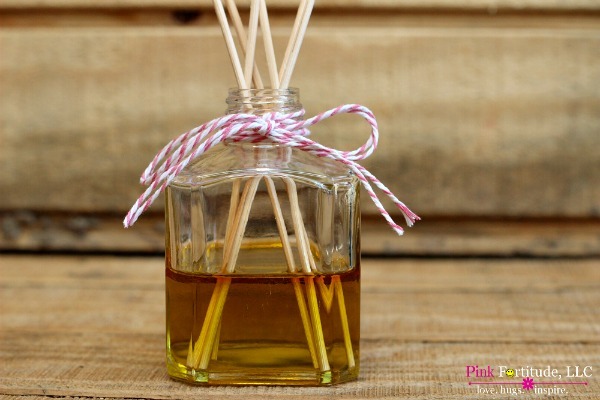 You can diffuse different scents around your home or give this as a Mother’s Day present or housewarming present or hostess present. Love, hugs and basking in a wonderful spring aroma! So glad you shared the secret. I think I have some avocado oil in my pantry. Thanks! I didn’t know it was avocado oil. This is great to know! This is such a great idea! Pinned! 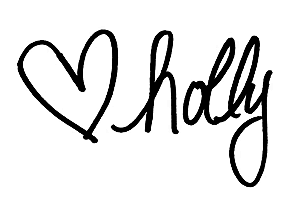 Thanks for linking up with Merry Monday last week.